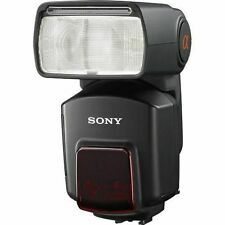 Improve your lighting capabilities with the TTL-capableFL-300R Flash fromOlympus. Also, it has a wide-angle panel for 9mm of coverage and tilts from -30 to 60°. Another major capability is both master and slave wireless TTL functionality. • More approach natural light use high quality led light. There are seven levels luminance. Nikon D7000 D5000 D5100 D3100 D3000 D3 series D700 D2 series D300 series D200 D90 D80s D70 series D60 D50 D40 series F6 Nikon COOLPIX COOLPIX8800 COOLPIX8400 COOLPIX P5000 COOLPIX P5100 COOLPIX P6000. Nothing included, only the Flash and Holder. PACKAGE CONTENT 1 * AD200 Flash Body 1 * Speedlite Head 1 * Bare Bulb Head 1 * Bare Bulb Head Flash Tube 1 * Battery 1 * Charger 1 * Power Cable 1 * Carry Case 1 * Godox AD-S2 Reflector Brand Godox Number of Flash Units 1 Type Outdoor flash Special Features TTL Bundled Items Battery Total Power (Watt-Seconds) 200 Ws MPN Does not apply UPC 602938083225. Trending at $302.55eBay determines this price through a machine learned model of the product's sale prices within the last 90 days. 5 out of 5 stars - Nikon SB-5000 AF Speedlight for Nikon DSLR Cameras Brand new! 9 product ratings9 product ratings - Nikon SB-5000 AF Speedlight for Nikon DSLR Cameras Brand new! Nikon SB-80DX Speedlight Works Perfectly. Used infrequently. TTL function not compatible with modern DSLRs, but works fine in manual mode. Shipped with USPS Priority Mail. 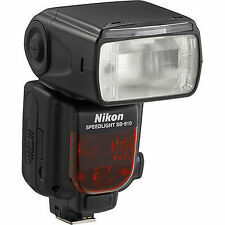 The IF-980 i-TTL Flash for Nikon from Opteka is a dedicated flash for use with Nikon DSLR or point-and-shoot cameras. The IF-980 features a guide number of 278' at ISO 100 and an adjustable tilt head with six positions: -7 to 90°. The -7° downward. 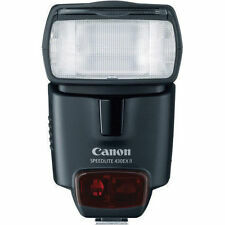 ITEM: Up For Sale Is A Canon Speedlite 220EX Shoe Mount Flash. Small Hole In Battery Cover. This is a Nikon SB-800 Speedlight Flash. Everything pictured is what is included. Shipping is calculated by your location. Payment is through PayPal only. Runs on Four AA Batteries. Multi-Mode for Firing Series of Flashes. 2.4 GHz Transceiver with 328' Range. Zoom Range: 24-105mm (18mm with Panel). Optical Slave Functionality. 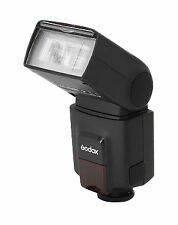 Package includes: 1 x Godox AD200 flash Double Head 1 x Godox S Type Bowen Mount Bracket 40*40cm Softbox (Gift) 1 x Godox Xpro-N LCD Trigger For Nikon 1x Speedlite Flash Head 1x Bare bulb Flash Head 1x AD-E Holder 1x Battery Charger 1x Lithium Battery pack 1x Protecting bag 1x Instruction manual Godox AD200 200Ws TTL HSS Two Heads Pocket Flash AD200 pocket flash has strong power with lightweight and great portability. Easily packed in your pocket..
Like new, hardly ever used SB-80 DX Speedlight with manual, original box and padded carrying case. I rarely used a Flash with my photography. Then I went digital and bought another speedlight. I put batteries in this and it fired right up. Canon Speedlite 600EX-RT Shoe Mount Flash for Canon. Condition is used, but the unit is in very good condition. This is an excellent flash, but all my other speedlights are 580EX II’s, and I prefer to standardize on those so as not to have to memorize multiple modes of operation with different flashes. Original case and stand included. Shipped with USPS Priority Mail. Trending at $223.74eBay determines this price through a machine learned model of the product's sale prices within the last 90 days. Flash is good working condition. Lambency Flash Diffuser has been modified to fit with the flash. - Condition is Used. Model: AD400 Pro Bowens Mount Wireless Slave Unit Mode: *Rdio transmission mode (compatible with Nikon & Canon,Sony,Olympus,Panasonic,Fujifilm ) Flash Mode: Wireless off:Slave unit of radio transmission/M/Multi:TTL/ M/Multi Guide No. 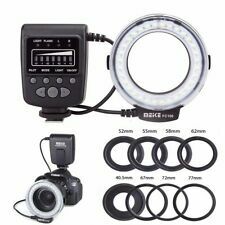 (m ISO 100): 72 (m ISO 100, with high-efficiency standard reflector) Flash Duration: 1/220 to 1/10100 seconds POWER: 400W Power Output: 9 steps: 1/256~1/1 Stroboscopic Flash: Provided (up to 100 times, 100Hz) Flash Exposure Compensation (FEC): Manual. FEB: ±3 stops in 1/3 stop increments. Sync mode: High-speed sync (up to 1/8000 seconds), first-curtain sync, and second-curtain sync Delay Flash: 0.01~30 seconds Mask: √. Item is barely used and is in fantastic condition. Warranty not included. Canon MR 14EX Ring Light/Macro Flash for Canon. Condition is Used. Still has box. Rarely used. Excellent condition. Shipped with USPS Priority Mail. Please see photos for more detail. Thank you and happy bidding! This is used in photography to produce a flash of artificial light to illuminate a scene. Its main purpose is to illuminate a darkened scene or enhance natural lighting to establish a specific aesthetic and produce clearer images. Whether you add a strobe or speedlight to your device, the type of flash can help improve the quality of light and capture fast-moving objects. What are the benefits of a camera flash? Directionality: Since they are able to swivel and tilt, the light is able to bounce off an expansive area. Red Eye Prevention: The red-eye phenomenon occurs when light from the flash originates from the same area as the lens, hitting the back of the eye. After this, it bounces straight back, creating the effect. Power: The power from the flash illuminates a larger area and gives a greater range. Some have their own sets of batteries that can be recharged, enabling you to take more shots. Portability: They can be detached, which lets you shoot photos from wherever you wish. What are the different types of flash for a camera? 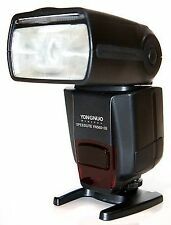 Built-in flash: It is found in many cameras, like those from Canon and Nikon, and is usually a low-powered and small affair. It pops out from the pentaprism. They only provide direct light that is unable to bounce from the ceiling to the wall. They are suited to subjects that are relatively close to the camera. 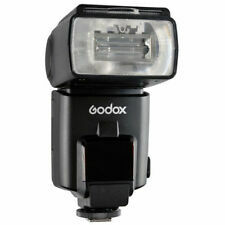 Hotshoe flashgun: These models range from fixed heads to advanced tilt and swivel heads. Some have automated zooms that can match the focal length of the lens. In addition, there are those that offer wireless operations so that multiple flash units can be used off-camera. Hammerhead: This one attaches to the side of your camera through a bracket that can be screwed into the tripod stand. 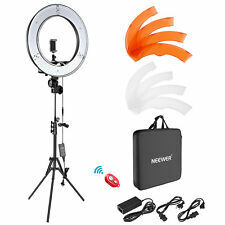 These types of flashes offer a wide range of features, including swivel and tilt heads and secondary tubes. They are also known for their sheer power and red-eye elimination. They accomplish this by being farther away from the lens axis. What should you look for when buying a camera flash? One feature to look for is an off-camera connecting socket. The point of having one is to have it situated directly on your camera. There are two options for connectivity, namely remote connectivity and cable connectivity. 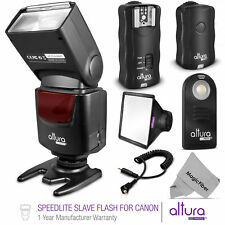 A cable is attached to the flashing unit, known as a slave, and upon releasing the shutter, the flash is set off simultaneously. The remote connectivity operates wirelessly with the help of a remote-controlled flash trigger. You may also want to look for manual control. This is particularly useful to those who want complete control over their photos. If different intensities are required from different flashes, manual control would allow you to fire each at different intensities. Tilting and swiveling is another helpful feature. It may sound basic, but the ability to direct it in one direction or the other can make a big difference in your photographs.